iPorto is the second-largest city in Portugal after Lisbon, with a population of 257,000. It is know for its bridges and wine production. 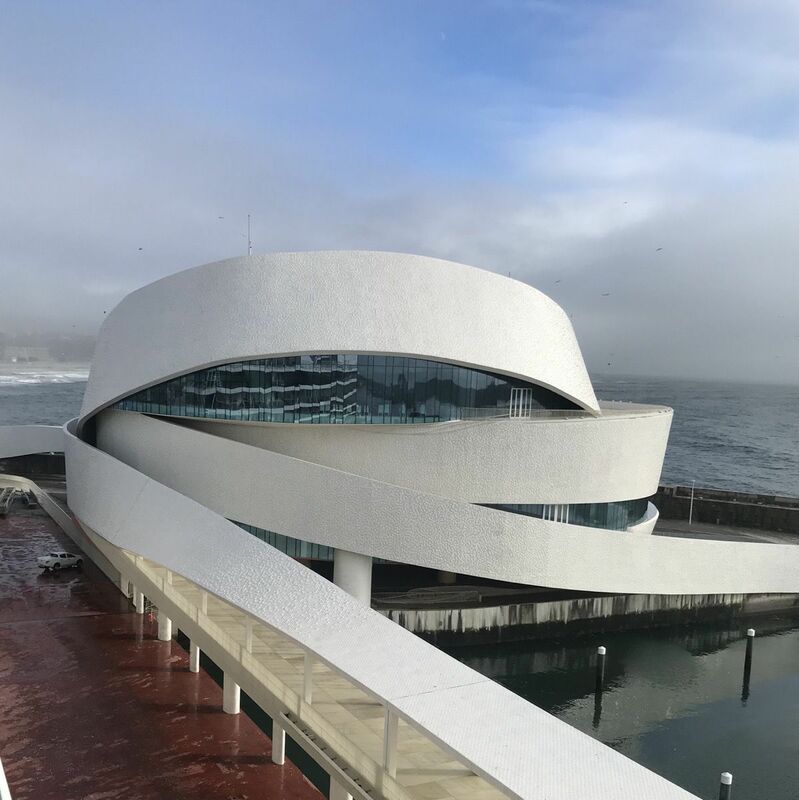 Located along the Douro river estuary in Northern Portugal, Porto is one of the oldest European centers, and its historical core was proclaimed a World Heritage Site by UNESCO in 1996. The western part of its urban area extends to the coastline of the Atlantic Ocean. 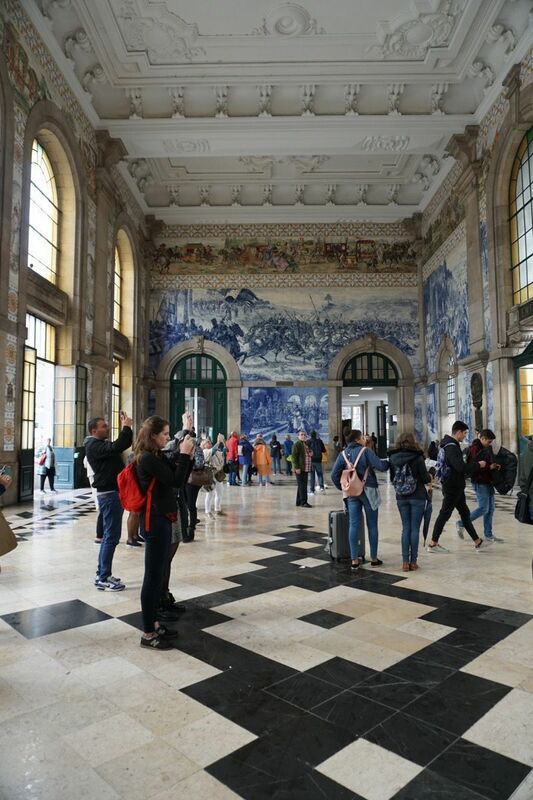 One of Portugal's internationally famous exports, port wine, is named after Porto. 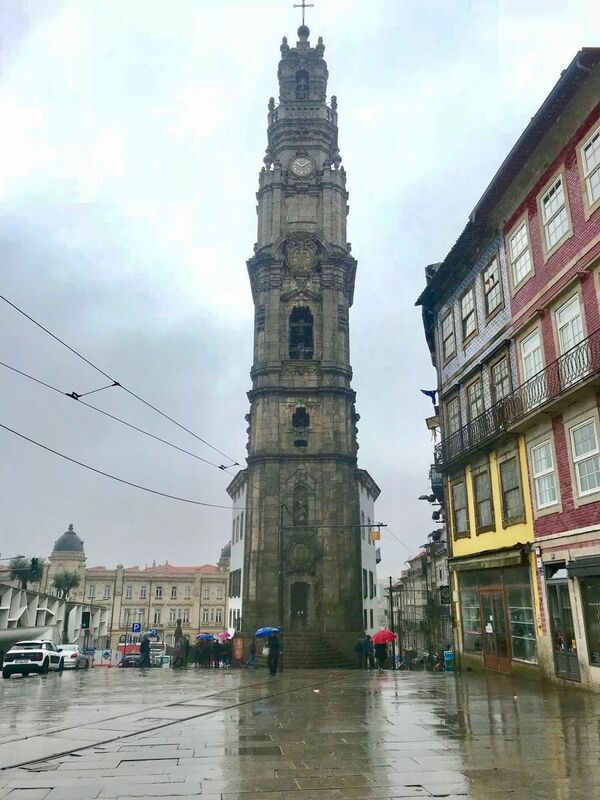 Porto is on the Portuguese Way path of the Camino de Santiago. 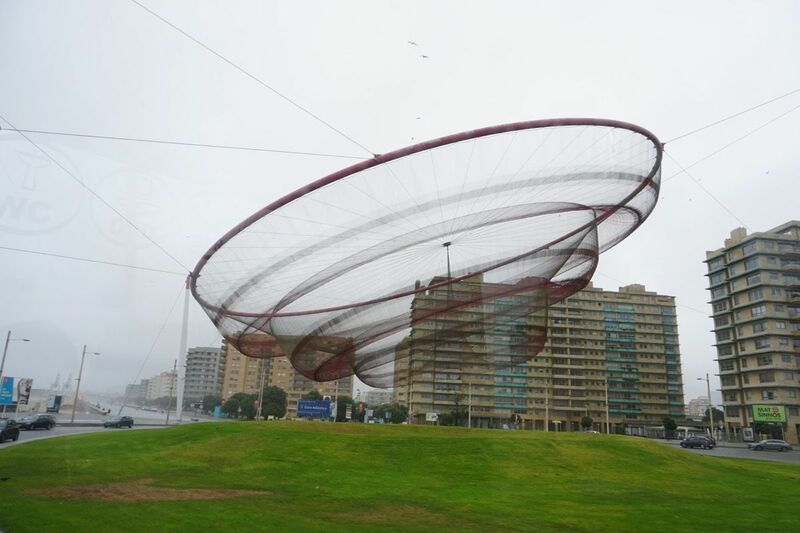 When we first arrived in Porto, we saw this piece of artwork that turns with the wind. 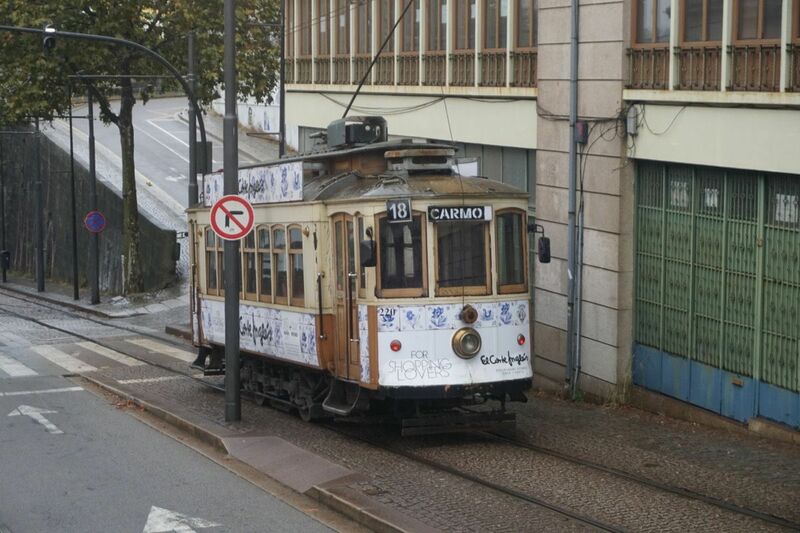 The tram system in Porto dates back to 1872 when mules pulled the tram cars. In 1895 electric traction was introduced and the last mule drive tram was retired in 1904. There is only one line left in town and it’s operated as a heritage line. These are cork trees that are native to Portugal. These trees are usually harvested for the first time when they are 25 years old and then re-harvested every 9-12 years afterwards. A cork oak tree can live for around 200 years as each tree’s harvest can produce as many as 4,000 wine bottle corks. 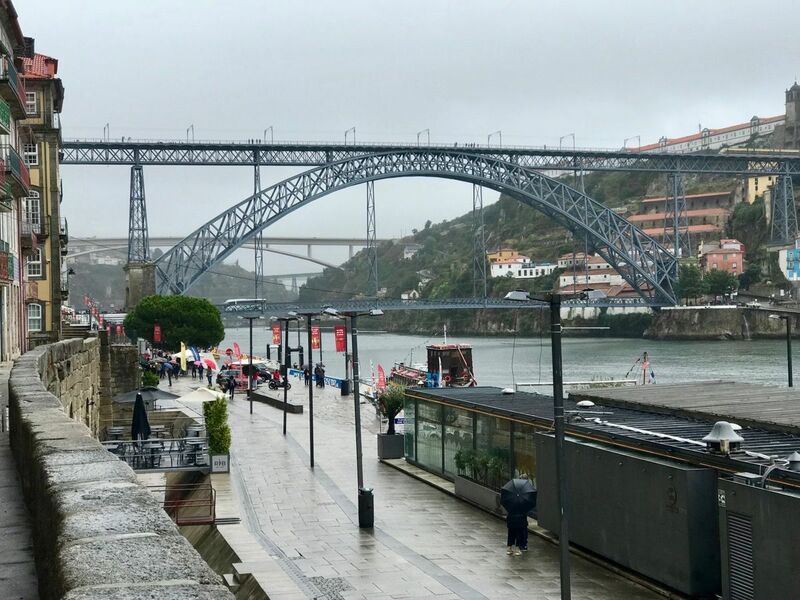 Porto is know for its Port Wine and for its many bridges. It was a good day to climb to the top of the tower to look out and see the city. 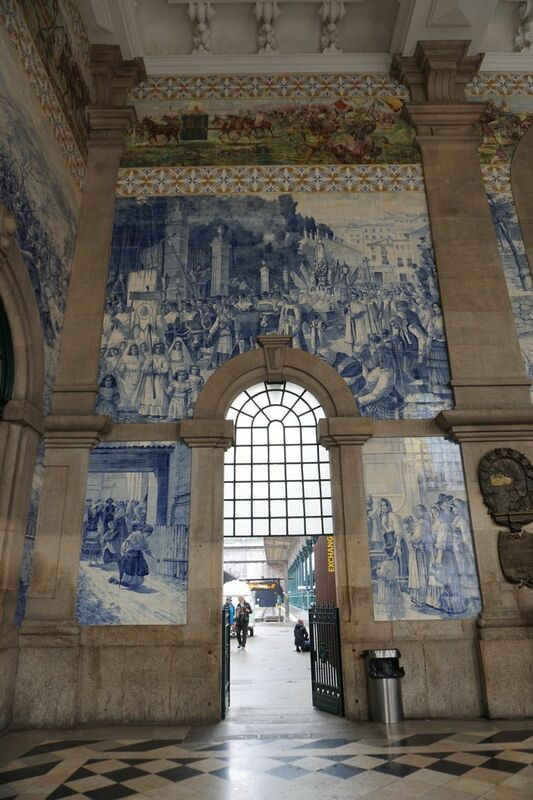 The beautiful painted tiles on the Central Station walls. 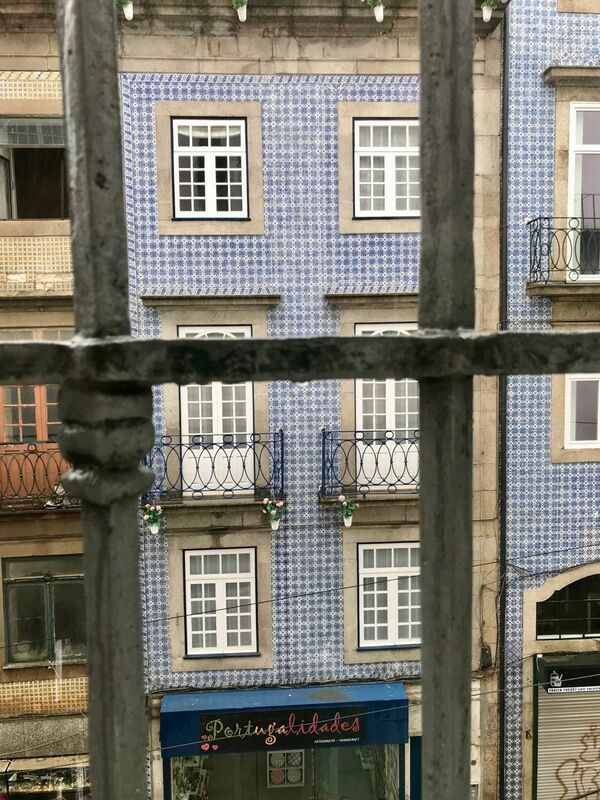 The houses and stores are covered with hand painted blue and white tiles. 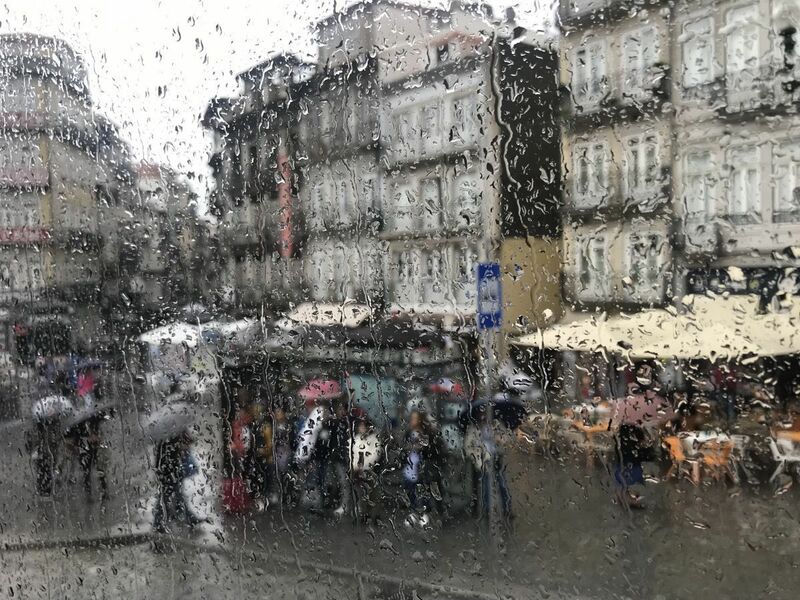 My rainy day “painting” of Porto. 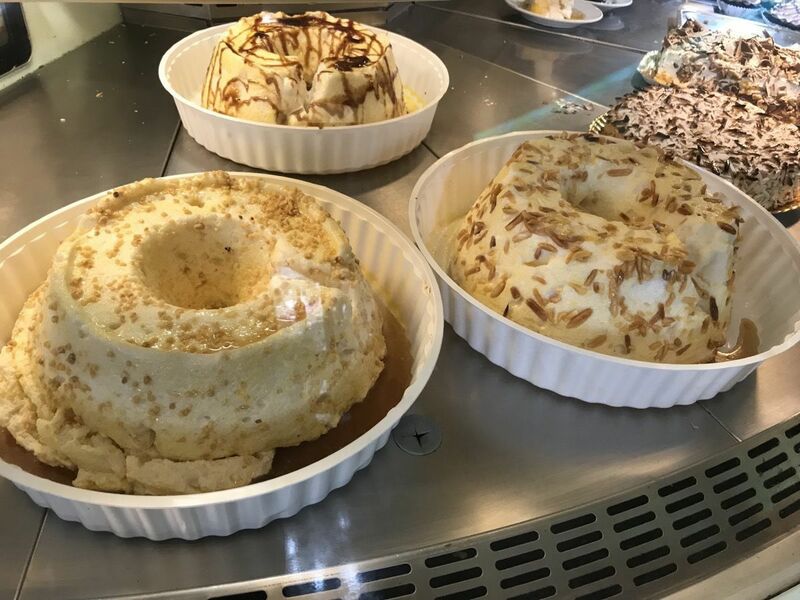 Some yummy looking meringue treats in a bakery window. This is the cruise ship terminal. It is covered with white tiles that are turned out at angles to resemble fish scales.